As a little girl some of my earliest memories are of watching my mother do her makeup. She'd let me play in it from time to time and I'd top it off with my own bit of flair - anyone else remember peel off nail polish and stick-on earrings? 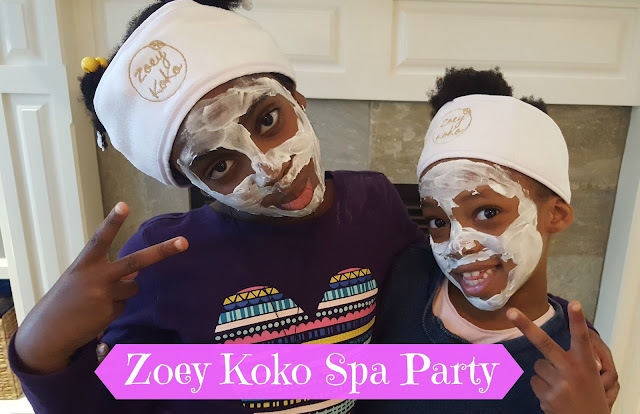 Now with my own daughter, I see these same memories being replayed in how Nia loves dabbling in my beauty products so I was excited to learn about Zoey Koko, a spa party experience created by Boston-based entrepreneurs Sara and Dahlia. I loved that there was an easy-to-follow guide to keep us focused throughout all the excitement - the girls were patient as I took them through each of the steps and decided to start with face masks. They really got a kick out of their head wraps making them look like "real spa girls" and took turns running to the mirror to see what themselves. It was too cute! Next up were manicures and tattoos. My mommy friend and I were tempted to steal the tattoos for ourselves - the gold foil was so pretty and such high quality! 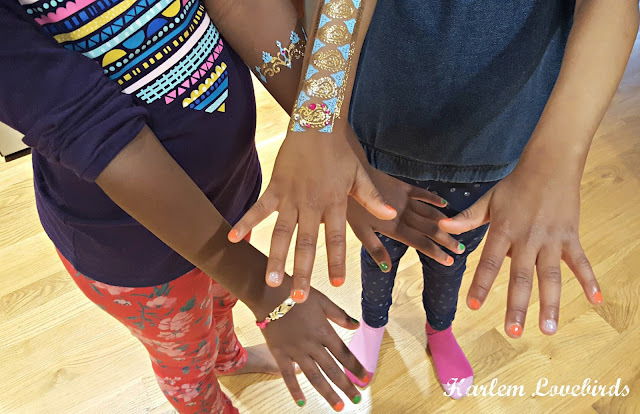 Nia decided to put on the gold feather bracelet that came in her Pamper Pouch for an extra special touch and the girls ended up swapping a few of their items before our party was over. 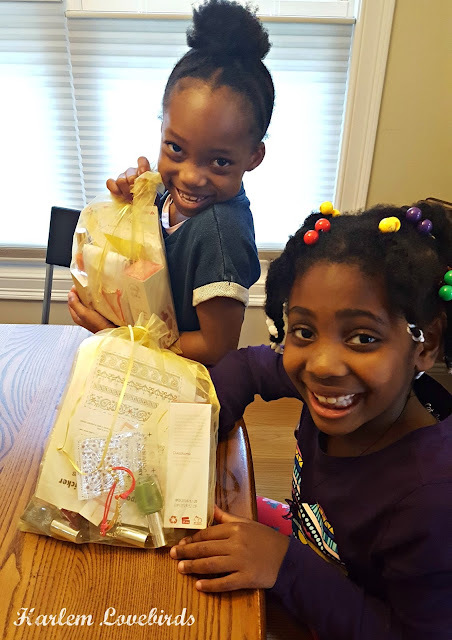 With summer vacation ahead it's the perfect time to plan your own spa party with Zoey Koko's Pamper Pouches! 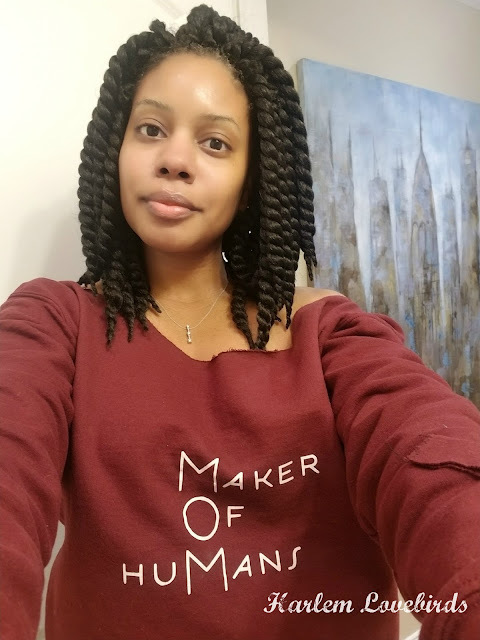 Now through July 29, 2017 Harlem Lovebirds' readers will get 15% off their order with code harlem at checkout (I also put a button on the sidebar viewable in desktop mode). To order your Zoey Koko Pamper Pouch visit their shop here and find them on Facebook, Instagram, and Twitter too!